We offer Custom Product Development Services for food companies and brands, saving them time, money and the headaches of production. We are committed to providing the highest quality service and adding value to every client’s brands by relieving the challenges related to research and development and the logistics of bringing your products to market. It doesn’t matter who you are, if you are vegan, gluten free, paleo, or even pescatarian, everybody can have a use for breading. Which is why Idan Foods was started by their commitment to breading, specifically their Texas Fried Chicken Breading. Giorgio Nadi, the founder and President of Idan Foods understood the common interest there would be in a product as versatile as breading. Total Food Service sat down with Giorgio to learn more about Idan and what they are bringing to the table. Nadi spent his childhood around fried chicken with his father who was engrained in the fried chicken industry, he had many fried chicken restaurants and a franchise called Texas Fried Chicken. So after a small stint in finance Nadi knew he needed to switch gears to follow something that was fulfilling. “This industry allows me to create new products that help people achieve their goals and seeing that work gives me satisfaction,” Nadi added. After stepping out on his own in 2010, Nadi created Idan Packaging nuzzled in a small space in the Bronx with two key products which were salt and pepper packets, and the Texas Fried Chicken breading. Now in 2017 Idan has rebranded into Idan Foods and continues to grow in size and regionally. In fact as of June 30th, Idan will be doubling their size with a new facility. Idan has also expanded their product line with their baking mixes. Idan Foods breading brand Texas Fried Chicken Breading as of right now is a foodservice only product. With a long history in the industry from the Texas Fried Chicken franchise, the breading has a lot of name recognition. 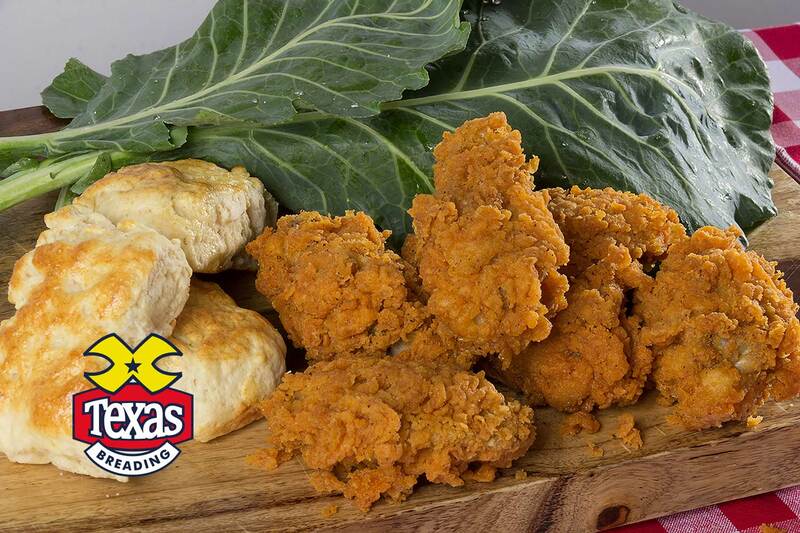 People are familiar with Texas Fried Chicken Breading and its unique southwest flavor and its beautiful golden color. Idan Foods doesn’t limit themselves either, Idan creates other proprietary breading for food franchises. Breading will always be the core focus of Idan Food but Idan has expanded their product line with their line of baking mixes. “With the knowledge and food background that I have, I was able to create many different flavors and mixes. We can even create custom mixes, let’s say you want a red velvet macadamia cake we can make that no problem,” Nadi added. The ability to offer fully customizable baking mixes and add it to a dry mix is what Idan does best. If you are a food chain, food distributor, or food franchise Idan can create custom dry mix blends catered to your specific needs. So if you are looking for custom or private label blending for your food system you can contact Idan Foods directly on their new website, or simply give them a good old fashioned phone call at (973) 423-4900. Need Private Label Dry Blending? We handle businesses' private label dry blending needs saving on production costs and time! We’ve redesigned our website with you in mind! We needed to perfect our breadings before we could launch our new products for our system. The Idan team recognized this and created multiple products for us to choose from. They understood what we needed and made slight modifications along the way so that we ultimately found the perfect product. We have been using Texas Breading for over 12 years. We only use Texas Breading because it has very classic southwest flavor and it fries to a perfect golden color. I would like to thank you for introducing me to your wonderful Texas fried chicken breading mix. It made my job much easier and am able to create delicious fried chicken. I am getting amazing responses from my clients and the guests. Thank you so much again for providing me with the best solution to my fried chicken. I’m a big baker and I’ve tried a lot of brownie mixes as a time saver. This mix by far is my favorite. I’ve made this recipe plain and the kids love it. I’ve also used this mix adding Godiva chocolate chips & cooled coffee in place of the water, and it just just brings it to a whole other level. Yummy! I find most cornbread mixes on the market to be dry and not have a lot of taste. I gave this brand a try and love it. I add shredded cheddar, canned corn a dash of hot sauce and serve it with turkey chili. This is hands down the best cornbread mix I’ve ever used. All I can say is wow! First of all, this mix is quick and has an easy cleanup, which I love. Second, they are just delicious. I mixed it, rolled it out quick, cut them with the top of a drinking glass, and brushed with a little egg wash. Done! That’s it! Put them in the oven and they baked up beautifully, nice and light. My only advise is, don’t make just one batch, they get eaten quickly. Yummy pancakes. Easy, just add water. The aroma of the batter cooking has a nice sweet smell to it. When I flipped the pancakes, they instantly fluffed up almost ½ inch. Great texture too, not gummy at all like some pancake mixes can be. Also tried in my waffle maker, just had to add a little oil. They came out great too. This mix is a keeper. I really love this cake mix because I don't have to go through all the hassle to make it from scratch and it tastes better. I love baking cupcakes, my kids don’t even wait for them to be iced! This cake mix comes out so moist!! It has a delish chocolate taste without being too chocolatey. I like using this mix as a base and adding toppings like a simple caramel sauce. Fantastic! LOVE this cake mix! My customers seem to prefer white cake vs yellow cake, so I make this all the time and add a little lemon extract & lemon rind. A slice of this cake with a cup of coffee in the morning…perfect! We went to Idan Foods to create an innovative and functional seasoning for our clean label popcorn. Their approach is thorough and impressive and they made our company their priority. The R&D team at Idan Foods flew out to visit our facility so that they could thoroughly understand our production methods. I highly recommend them to businesses who need great service and workable solutions. They did a wonderful job. I am very happy that we have a product unlike anything else in the market. Whether you want our Texas Fried Chicken Breading™ or our Bain Marie Cake Mixes, feel free to contact us today. Our live chat is available during normal business hours. Give us a call during normal business hours. Reach out to us via email. We will get back to you as soon as possible. We can handle your businesses' private label dry blending needs that can save time and cost! Learn more about our private label services.